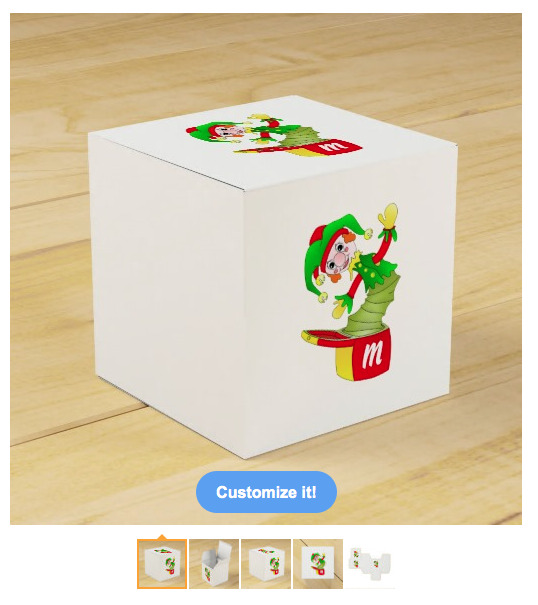 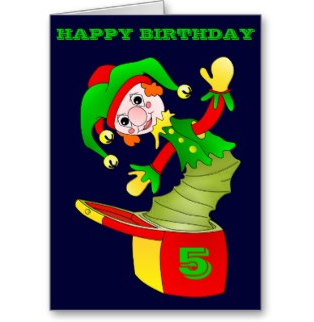 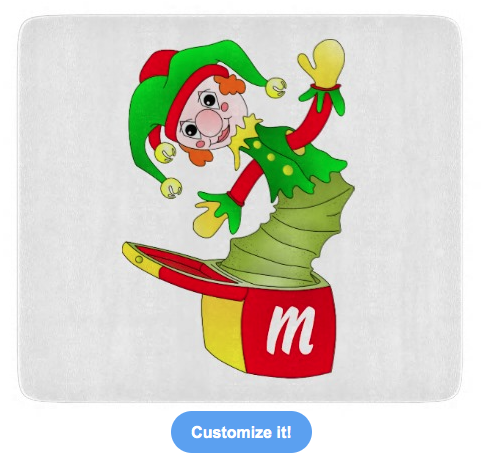 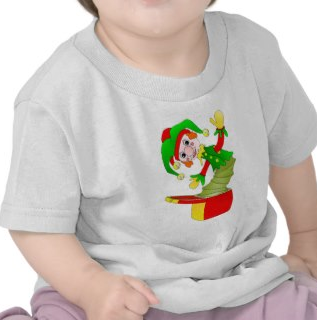 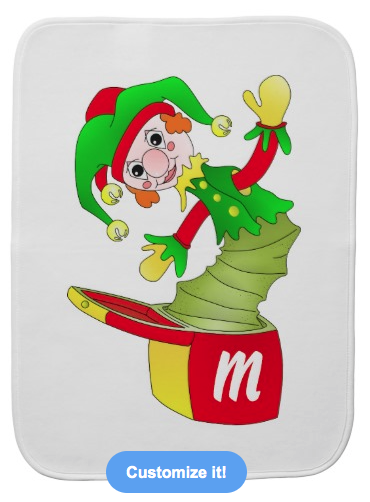 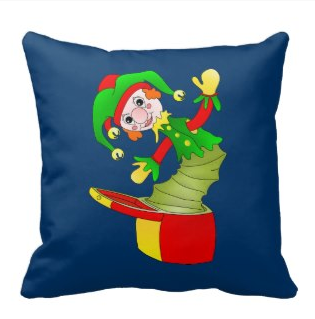 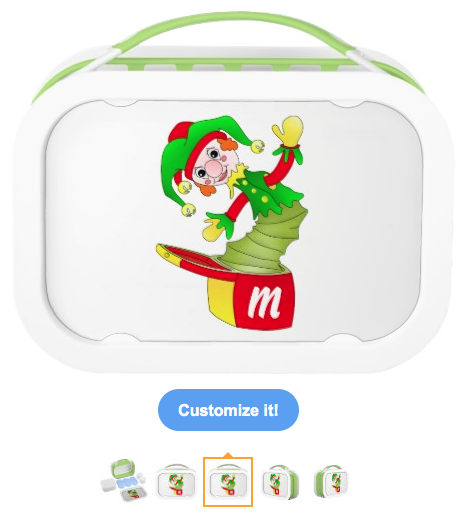 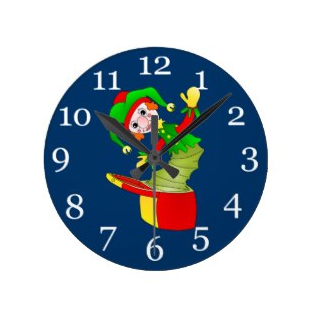 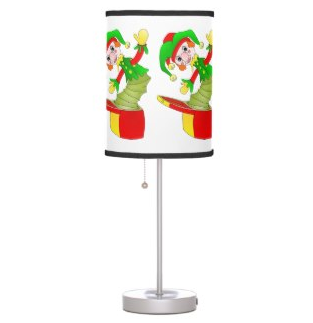 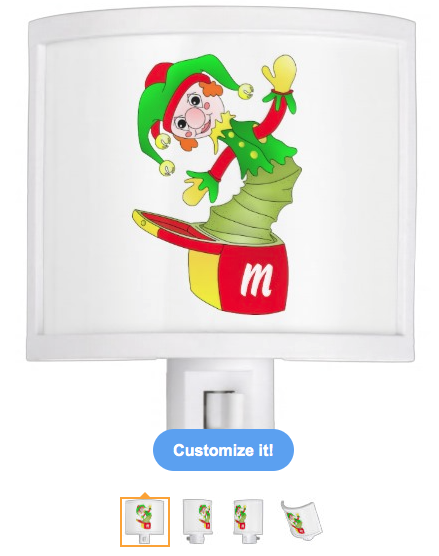 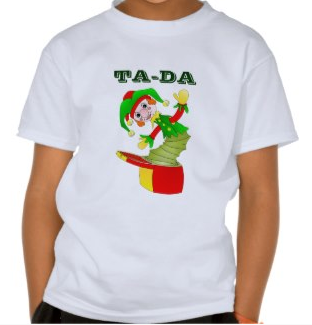 This Jack in the box is on a range of products in my mailboxdisco zazzle store. 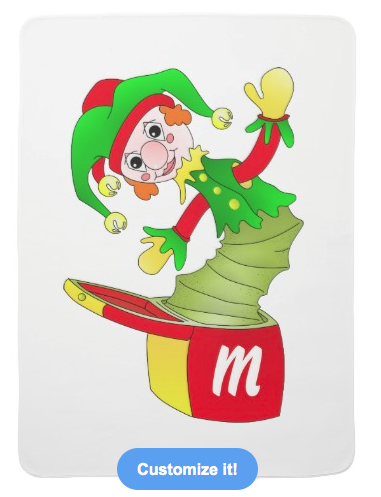 A cheerful jack in the box with bells on his hat popping out of a red and yellow box. 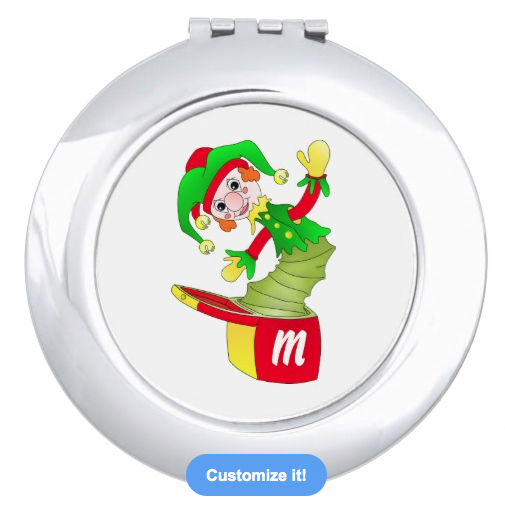 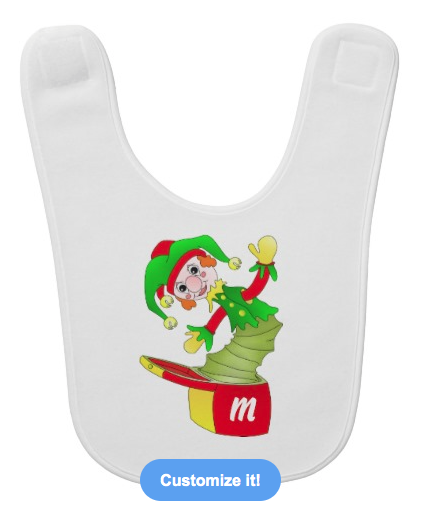 This product has a monogram which can be personalized.